Plain catgut Suture is a fast absorbing surgical gut suture made from a strand of collagenous material prepared from the submucosal layers of the small intestine of healthy sheep. 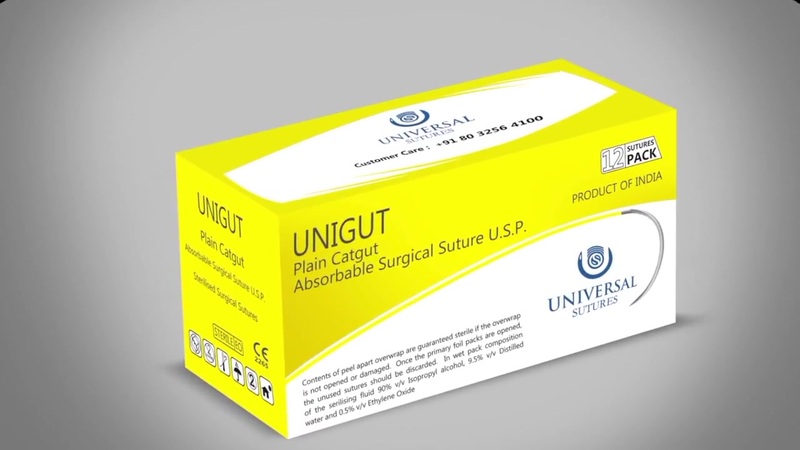 Fast absorbing surgical gut sutures are sterile and elicit only a slight to minimal tissue reaction during absorption. Plain Catgut Suture is fast absorbing and intended for dermal (skin) suturing only. They should be utilized only for external knot tying procedures. Absorption : Plain Catgut Suture Absorption takes place due to enzymatic reaction in 65 days. Plain Catgut Suture Strength : Tensile strength is retained for 7 - 14 days.